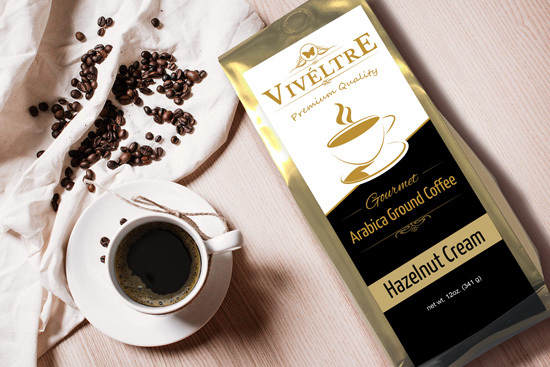 Viveltre gourmet flavored coffee takes the classic hazelnut flavor and amps it up by adding a smooth cream touch. The result is an irresistible cup of Hazelnut Cream coffee! Delicious flavors of warm, toasted hazelnuts give that rich and nutty taste while the cream adds a wave of velvety, smooth cream. Indulge in this decadent flavor. Viveltre gourmet flavored coffees are brewed locally in small batches, ensuring a perfect blend in each batch. Viveltre uses green coffee roasters in an effort to reduce our carbon footprint. All Viveltre gourmet flavored coffee use a light roast of Arabica beans to allow the flavor to shine through.